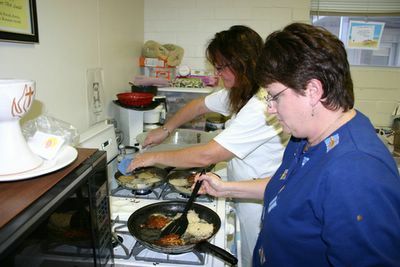 Biloxi's Beth Israel Congregation held its Chanukah party on Dec. 18 in its new temporary home, Beauvoir United Methodist Church. The congregation's building was heavily damaged by Hurricane Katrina, and several congregants lost their homes. 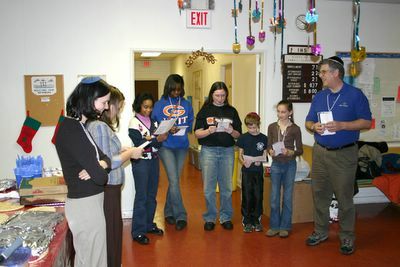 Many Jewish volunteers who had come to the region for Winter Break also attended the party, during which gifts from across the country were distributed to the local Jewish community.